How to get VDMX stickers! We've just arrived back from Mapping Festival where one of the highlights was getting to see visual artists and VJs of all levels from around the world learning new skills not just from the workshop instructors, but also from each other. Everyone openly shared their experiences and techniques using all kinds of software and hardware tools video production and live performance. The first box full of VDMX logo stickers! 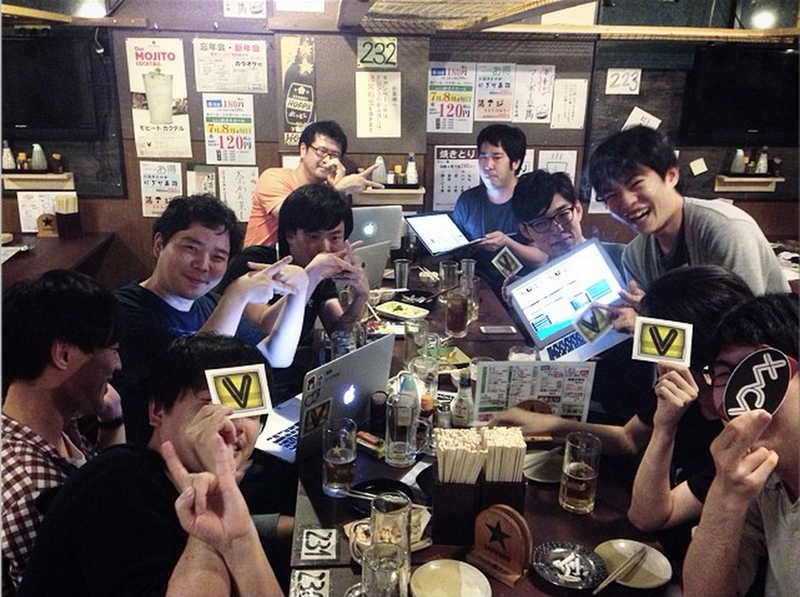 It was also our first chance hand out our new VDMX logo sticker design. Seeing people excitedly applying them to their laptops, bags, notebooks and other random gear was absolutely humbling. To share this new vinyl goodness with everyone who couldn't make it to the festival we'd like to announce our new totally free “Stickers for Meetups” exchange program. Organize a meetup or workshop for visual artists in your city. Email us a link to the page and a shipping address for us to mail the free stickers to. You can host anything from an informal coffee shop gathering to a full workshop, hackathon or jam session. Schools and other organizations that teach classes are also eligible, just send us an email! Once you receive the stickers, bring them to your meetup and hand them out to people who show up. Use it as an opportunity to exchange your knowledge about VDMX with people who are experts with other tools. Bonus points if you send us photos from the event to include in our image gallery showing off possible uses for your stickers! And don't forget that you can also order your own VDMX coffee mugs, available in standard and high-defination models. Logo stickers can be applied to laptops of any size, even the super sized 17" MacBook Pro. What's powering that media server on your Mac Mini? Spotted tarrabass at Mapping Festival. Never forget which hard drive has those backup VDMX project files. A good notebook is crucial gear for any visual artist, used for drawing sketches of ideas and keeping track of details from meetings with video techs. While tempting, please do not apply VDMX stickers to cats, dogs, turtles or any other animal. Today we're proud to release our newest addition to the product line, our first venture from software into drinkware to help add a little extra power to your live visuals setup, the “VDMX5 Icon” mugs, now available for purchase on cafepress!